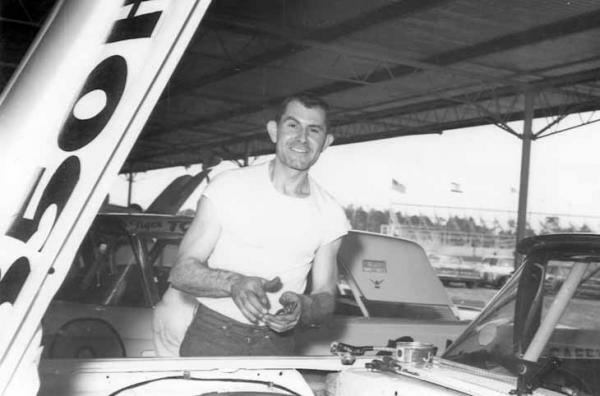 Fritz Wilson working on the car he drove in the first Daytona 500. Wish I could of spent more time hangout around this guy. I miss going to the races. Being in the pits was always the best.